We farm about 1200 acres. 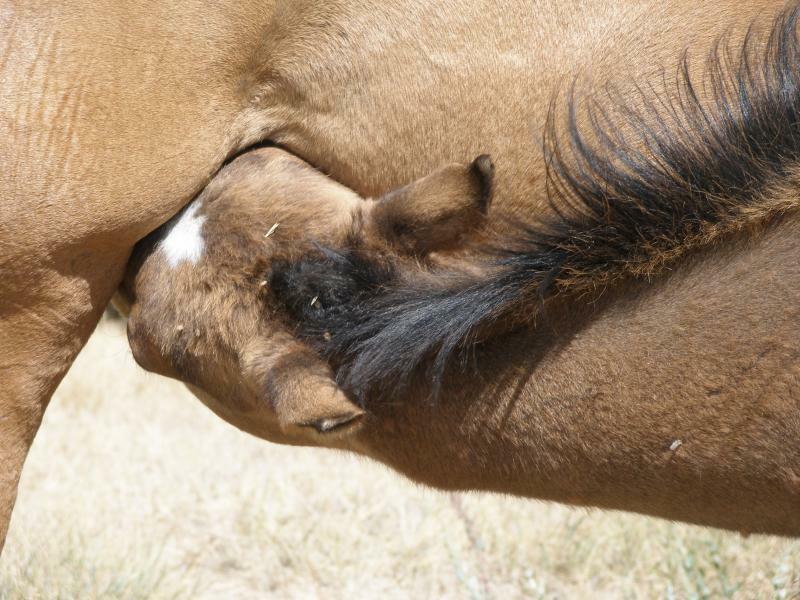 When the moisture is right, when the weather co-operates and when the machinery works, it is possible to cut, bale and stack about 2,000 tons of alfalfa/grass mix hay. Since we no longer run any cattle, of course. we market the hay. 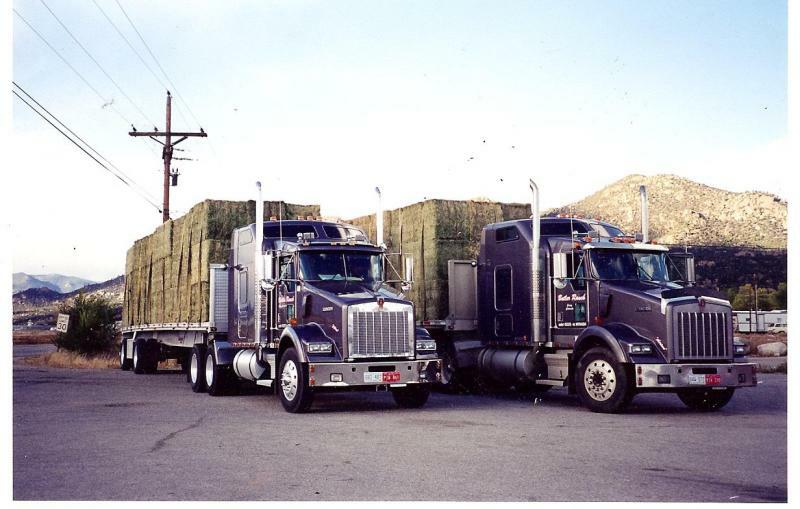 At times, we have traveled as far as Southern Texas to deliver the large square bales of hay. .. 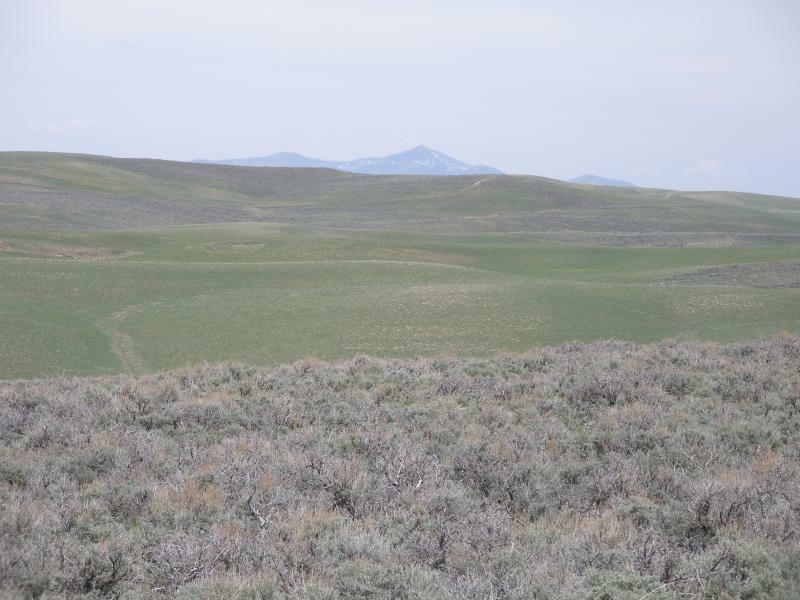 The balance of the 5,000 acres (2,150 acres) is still in undisturbed native sagebrush, providing shelter and cover to the wildlife. Y Lazy S Ranch Trucking!!! We'll haul your goods on our flatbed anywhere... anytime... under any conditions..
Oh! yes!!! Your hostess and owner of this ranch is still a licensed "Commercial Driver" and loves to jam those 18 gears all over these beautiful lower 48 States!! the smaller log cabins offer a cozy and unique place to spend your special days "at home away from home".